The future is fast approaching. An unknown civilian produced the first ever 3D printed railgun. What is a railgun you are asking? A railgun is a futuristic type of weapon that is currently being developed by the U.S. military and NASA. Fully functional railguns are capable of shooting projectiles over 100 miles at speeds of 5,000 mph. They are extremely destructive and their ammunition is incredibly affordable when compared to traditional live ammunition. Little is known about Imgur user “NSA_Listbot” beyond the fact that he’s just short of being a wizard with AutoCAD and a 3D printer. The man took to Imgur over the weekend to share what may very well be one of the most amazing and terrifying DIY projects that has even been attempted. And he didn’t just attempt it, he built it. 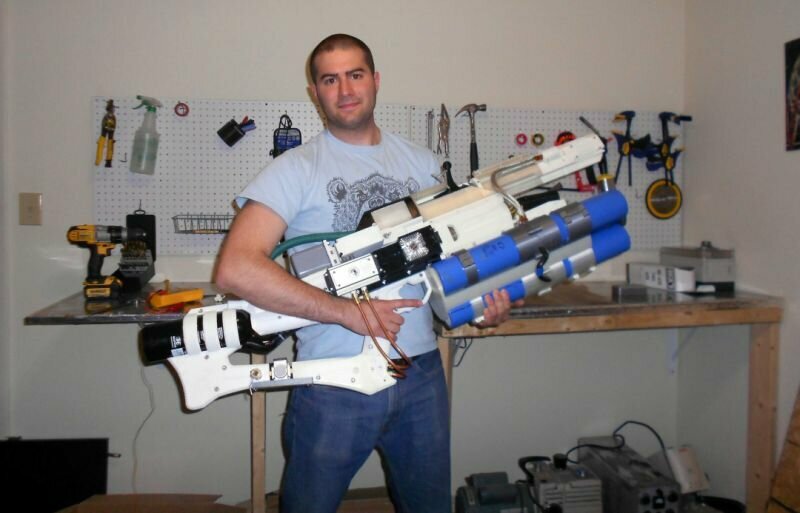 Using a combination of 3D printing and widely available components, the man built a functioning handheld railgun that houses six capacitors and delivers more than 3,000 kilojoules of energy per shot. What does it shoot, you might be wondering? So far he has tested the gun using metal rods made of graphite, aluminum and copper-coated tungsten, like the ones pictured below. It can also fire carbon projectiles and teflon/plasma rods. That’s right, this guy built a plasma gun. The portable device works just like a full-size railgun, using electromagnetic technology to fire projectiles. But it’s important to note that this portable railgun isn’t quite as lethal as a military-grade railgun. While 560 mph projectiles can certainly do some damage, a military railgun can accelerate a projectile to speeds exceeding 13,000 mph in just 0.2 seconds.